We’re selling and delivering shredded hardwood mulch to neighbors and friends again this year. Orders can be made by calling the church office (as long as supplies last) at 301-864-4328 or better yet stopping by the church parking lot early Saturday morning! We’ll be delivering by 8am. Destin Sandlin is a rocket scientist but I came across him struggling to ride a bike. (You may have seen him in one of his YouTube videos as well.) Like most of us, he had learned to ride perfectly well when he was young. It’s something you don’t forget, and he was as good at it as anyone. There was a twist to his ride, though. He thought it would be easy to overcome. The bike had been adjusted so that turning the handlebars to the left actually turned the bike right (and vice versa.) Destin got on believing that he could mentally correct for that. He couldn’t do it. Not for six months. Neither could anyone else who thought it would be possible to master quickly. Their minds just didn’t adjust. One after another, volunteers got on the bike and pushed off confidently. Each time, they began to wobble immediately, almost fall–and they had to stop. Again and again. It was striking to watch. They knew what was going on but as Destin said, knowledge did not equal understanding. It took Destin six months of practicing, struggling, and re-learning before he was able to really integrate the new way of functioning and ride the bike. 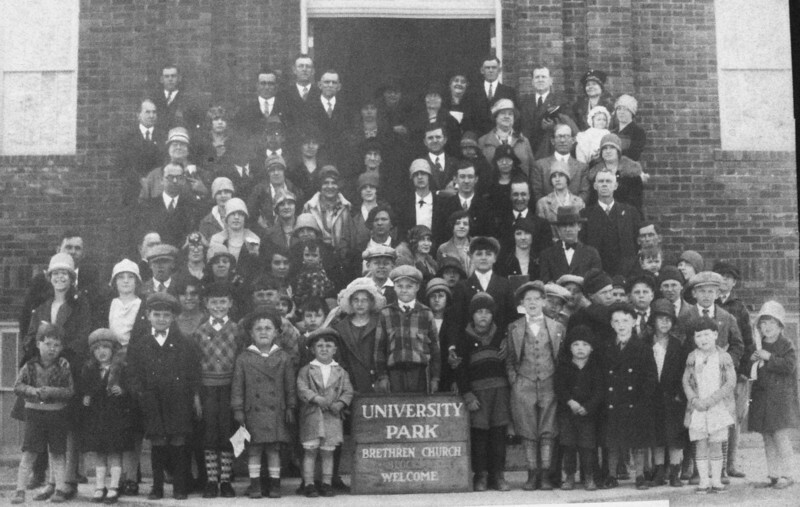 Pentecost is a season for noticing how the Spirit sweeps in and through and beyond us in ways that often change us. We’ve taken note that the Celtic image of the Holy Spirit is of a wild goose – something that can’t be controlled or directed. A presence that pushes us into new territory. Thinking about this, I was reminded of Destin. And of how hard it is to set aside established patterns. Our brains and muscles get deeply accustomed to familiar ways of doing things. We can scarcely grasp and often resist new ways. To carve new channels of behavior or being is no small thing. It takes a lot of wobbling and falling! Yet we believe in the presence of the Holy Spirit with us – one who is, in the words of the book of Revelation, “making all things new!” Who can transform knowledge to true spiritual understanding. Who disrupts in order to ground more deeply, and who brings us to awareness of our connections beyond the bounds we’ve normally observed. So, wherever we’re facing change–as individuals, in the church, in our world–maybe one key is to keep practicing new ways. The wild goose will nudge us forward. And with time, a new pattern–perhaps closer to what we were meant to be, but at least evidence of possibility–will emerge! Do Police Stops Define Race In America? Join the discussion with Political Scientist Charles R. Epp, PhD, as he explains why they do. 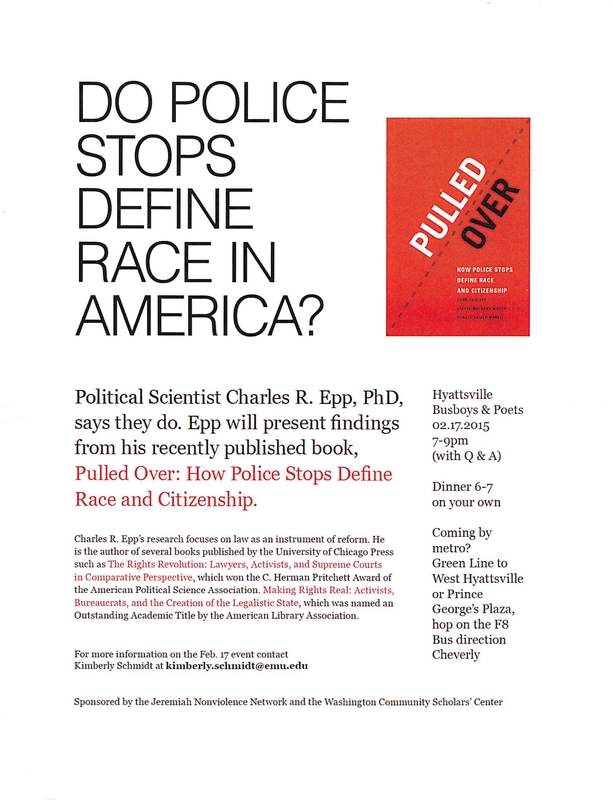 Epp will present findings from his recently published book, Pulled Over: How Police Stops Define Race and Citzenship. Click here for a pdf of the picture to the right. Alternative Christmas Fair! This Saturday!! 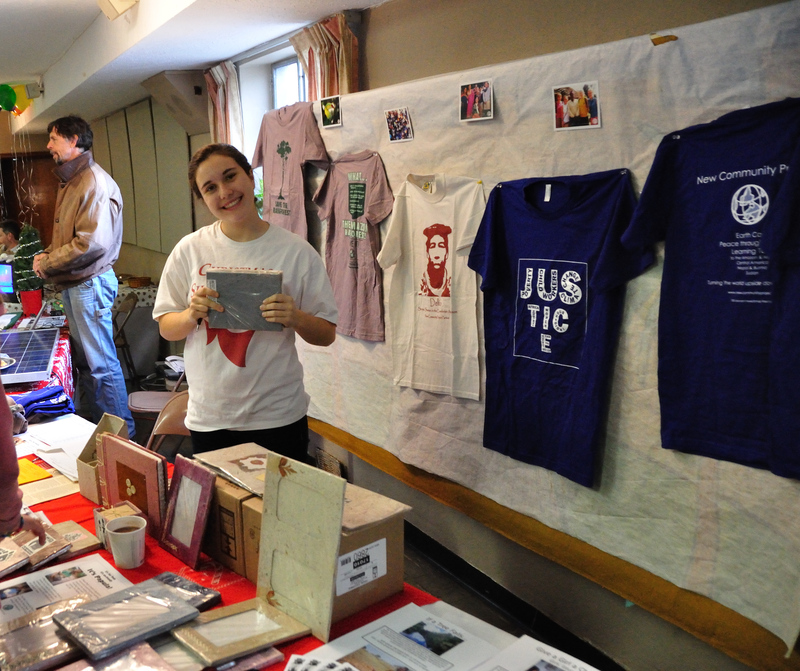 Please join us at our annual Alternative Christmas Fair and support non-profits and artists working for justice, peace and the good of the earth. Purchase holiday gifts and much more!! Local artists’ work will be featured and available for purchase. Our bake sale table sells individual treats for enjoyment while you are browsing the fair, and whole pies, cakes and assortments of cookies and other baked goods to compliment your holiday party or dinner. Bring the kids for free cookie baking & craft activities and enjoy lunch at our food stand selling polish sausages & veggie burgers, fresh candied nuts, and more. During our morning worship we joined the Annual Conference worship service via a live webcast (link below to watch recording). All: and I will remove from your body the heart of stone and give you a heart of flesh. would be an act of worship. 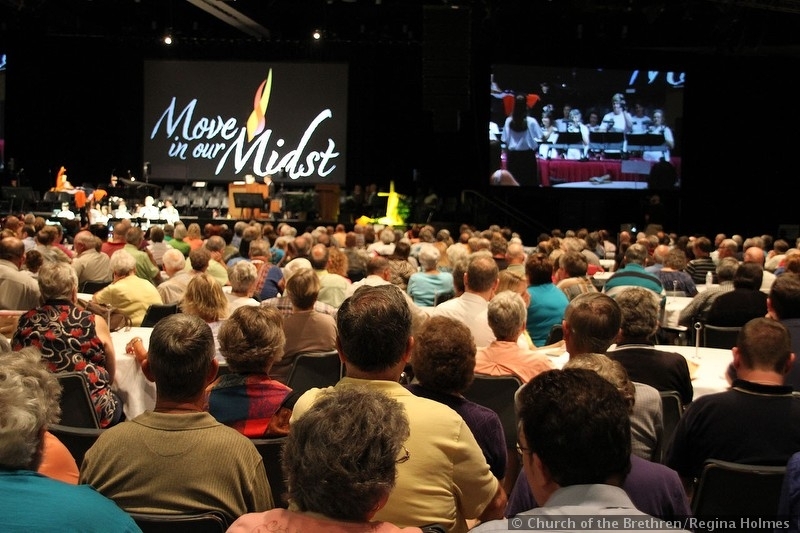 To watch the recording of the Annual Conference Sunday Morning Worship service click on the following link. Morning worship is from 10-11 a.m.
No children’s Sunday School or adult ed forum. Paneled room class meets at 9 am. Close the Sunday School year with a youth-led service, and a potluck lunch featuring foods loved by kids! Several of our junior and senior high youth are participating in the worship service. 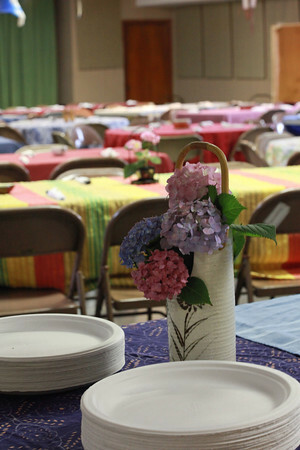 Bring a dish to share for the potluck, and come see the renovations HMC was working on last year! All are welcome.